Goodness gracious. I am forever amazed at humanity. I shouldn’t be, but I am. Recent tragedy that struck an Orlando club claiming over 50 human lives is horrifying in itself, but when you factor in the shameless response of a select few who decide to speak hate language in the name of “Christian” faith, it’s more than despicable. It makes me want to go hide under a rock until it all blows over. The idea that I could be lumped into the same group as people who stand on a white pedestal of judgement makes me want to throw up in my mouth a little. But in all honesty, it really just breaks my heart. I am a Bible-believing, full-follower of Christ, and as such I have read the entire book, and I use it as a reference for my life. I don’t just read one passage and ignore another. So when I see the many scriptures that instruct us related to sexual sin I take those to heart, but I also follow the example set forth by Jesus Christ. See, although I do believe there is such a thing as righteous judgement, and it’s even set forth in the same scriptures I obey, I believe that anything we do that is not done in love is completely pointless. Here are a couple of facts we all miss. You don’t have to agree with someone’s lifestyle choices to be a decent human being. 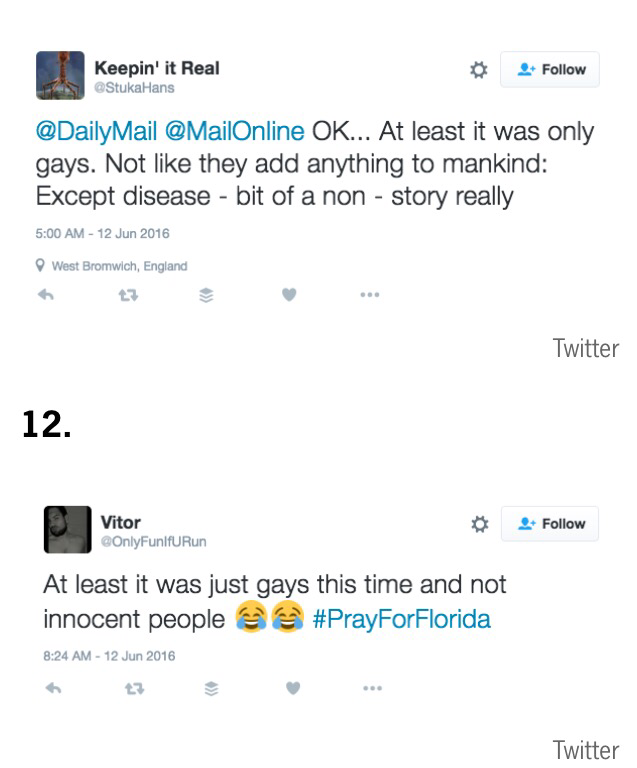 I see some of the ridiculous, hateful responses to the killing spree in Orlando and it makes me sick to my spirit. You can disagree with someone, but still affirm their life with worth. The thing is that the same Jesus who died for you also died for every person in that Orlando Gay Club, and He loves them with a beautiful, perfect love we can’t even fathom. But we can try to imitate it and emulate it by not being a judgmental, hate-filled individual though. Do you think Christ agreed with the lifestyle choice of the Samaritan woman at the well? Not at all. He spent the time to speak to her, to enlighten her, but certainly not to ridicule her. He saw her worth, He knew His Father loved her and He loved her the same. This Samaritan woman He shouldn’t even be caught alone with; He loved her! We see His example shown again and again throughout scripture as He dines with tax collectors, touches the face of a leper and allows a prostitute to cry on His feet. He hung out with all the peeps the Pharisees shunned because He knew they had worth despite their errors in judgement. We still have a lot to learn from our Savior it seems. And here’s another thing we tend to forget. None of us are without sin. No, not even one. We are all destined for hell, and it is only by God’s grace we see redemption and eternal life. While the path I walk currently is as close to a “straight and narrow” as my human nature allows, I’m not so blind that I forget my many past sins that sat nestled arm in arm amongst the likes of homosexuality. I’m the idolator, the drunkard, the sexually immoral. I am forgiven by no deeds of my own, but by the blood of Jesus. I still struggle a sinful life, I still cry out to Jesus in my imperfection, and I still realize that despite my eagerness to live a pure and blameless life that I am a far stretch from perfect. In fact the only good thing about me is Jesus within me, and because I love Him so much I strive to see others with His eyes. And here’s what I think. I think Jesus wept at the horrific terror attack against innocent children of God. Each person slain, despite their sexual orientation, were something special. They were worthy, they were loved and they were worth dying for, according to Christ. How could anyone say any different?! I think it broke the Lord’s heart to see anyone murdered, and it was probably just insult added to injury when He saw some of His children respond the way they did. There’s really nothing to say beyond that. Until we can walk like Christ, see through His eyes and love like He did, then we will never truly grasp how wide and big is the destiny He has for us all. I pray for all mankind to see how wonderful life can be when you walk with the Lord, love like Jesus and allow Him to transform you from the inside out.